Home » Accounting Advice » Autumn Budget 2018 - what's in it for investors? With the full Brexit break from Europe being imminent, here are some tips on what to look out for and how to protect your own investment interests. 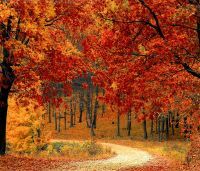 As the Times has reported recently, there is still some disagreement about when the Budget for Autumn is to be delivered in 2018. However, it is clear that when the Brexit deal is secured there will be some major changes for business investors in Britain. Whilst larger and international businesses may suffer, considering some businesses rely on frictionless international movement of people into the European market, there is a hope that smaller businesses will be able to sustain Britain's economy. With these businesses looking for financial support through the Enterprise Investment Scheme (EIS)and the Seed Enterprise Investment Scheme (SEIS), the government is looking to back new innovation and strong entrepreneurship, so that the economy can sustain itself, with even greater vigour than seen during the 1980s. The disruptions that may come due to Brexit also appear to be an attractive challenge to investors, as they wish to see if they can maintain growth of a business during this period. For instance, EbarInitiatives have taken this in their stride and want to create a traditional way of serving their beers during sports events. With help from investors, like Jenson, EBar has managed to raise £228,000 in equity investments and aims to buy rapid-payment technology to improve their business. When you invest in a business, your ultimate measure of success will always be the bottom line. For the Autumn Budget, a major benefit of being an investor is the 50% up-front Income Tax relief, consisting of a write-off of liabilities in regards to half of the value of the investment loss relief, meaning that any problems that occur with the business, could potentially have less liabilities. Not to mention that when this is combined with the Autumn Budget's income tax and CGT relief, it can amount to around 86.5% of the complete cost. However, the most important thing that could be gained from becoming an investor is being exempt from Capital Gains Tax (CGT) that could be made from SEIS or EIS, which certainly makes it an attractive investment opportunity. Speculation on the autumn budget is, that there may also be some changes wth regards to pension tax relief. Chancellor Philip Hammond has said that pension tax is ‘one of the last remaining pots of gold we can raid,' thus for those with higher pensions, there may be a chance that the tax relief is lowered for them, meaning that they may have to pay more. However, it must be noted that some changes to the Pension tax relief program have always been on the table, so it is best to keep speculation in this area at a very low level.